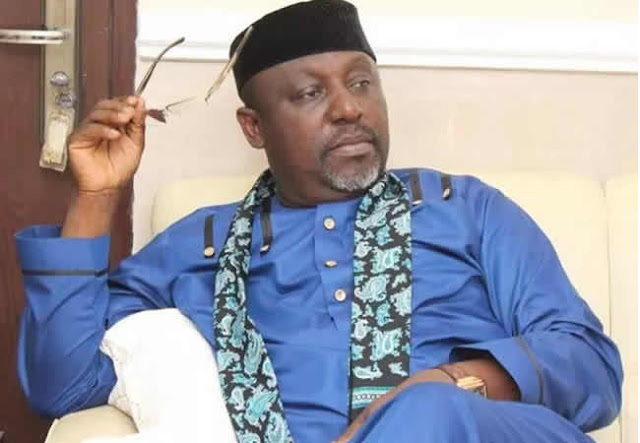 Governor Rochas Okorocha of Imo State has dismissed rumours that he wants to defect from the All Progressives Congress over the fallout of the party’s governorship primaries in the state. He said he was at the Presidential Villa to clear the air that Presidency was behind what the APC National Chairman, Adams Oshiomhole, was doing in some of the states. Okorocha said that Oshiomhole’s actions had affected APC negatively, adding that there was no instruction from the President directing the National Chairman to do anything illegal or create any sort of injustice. “How can I build a house and leave it for someone else? I am in APC; I founded APC; I gave the name APC and so this is our party and we’ll continue with the party and build the party for victory. “Oshiomhole is on his own in this whole thing; there is no presidency support for him to refuse those who won elections and embrace wrong candidates who did not win election. “Oshiomhole must also learn to respect the rule of law and obey court orders where they apply. Treating court orders like tissue papers must stop; it does not reflect the image of our party. “He must act quickly to fix the integrity of this party because his coming ought to have brought joy into the party, not sadness.’’ he said. The governor said that APC would not disintegrate for as long Buhari is still the President of the Federal Republic of Nigeria and leader of the party. Okorocha said that the party was still intact, though many people were hurt. He said that since Oshiomhole came on board, coupled with the controversies surrounding the party primaries, APC has lost almost five million voters because of anger and protests. The governor said it was time Oshiomhole was called to order; to respect the rule of law; do the right and respect court orders. “He cannot stand on Hope Uzodinma because the gentleman did not win election; you cannot compare somebody who won 265,000 votes to somebody who won 7,000 votes. “He should do the right thing before he creates more disaffection for our party. I do not think the National Working Committee will not submit the name of Uche Nwosu. “In the first place, NWC sent a 13-man delegation who conducted election and 12 of them signed, proving that Uche Nwosu won the election with 265,000 votes, as against Hope who had less than 7,000 votes.